This impressive skull lanyard bead from Marco Magallona is made from silver pewter and has a Gorilla skull design. These are large skull beads but they still weigh in at less than an ounce, so you will not add too much weight to your knife. 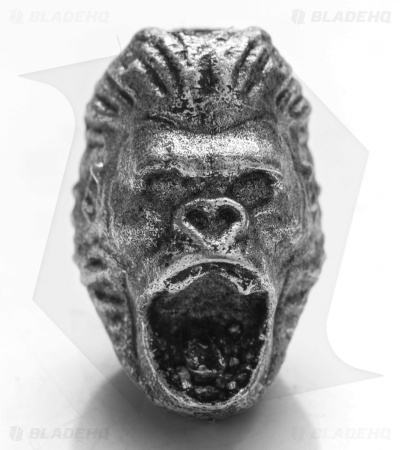 The Gorilla skull bead will make the prefect accessory for your next knife.